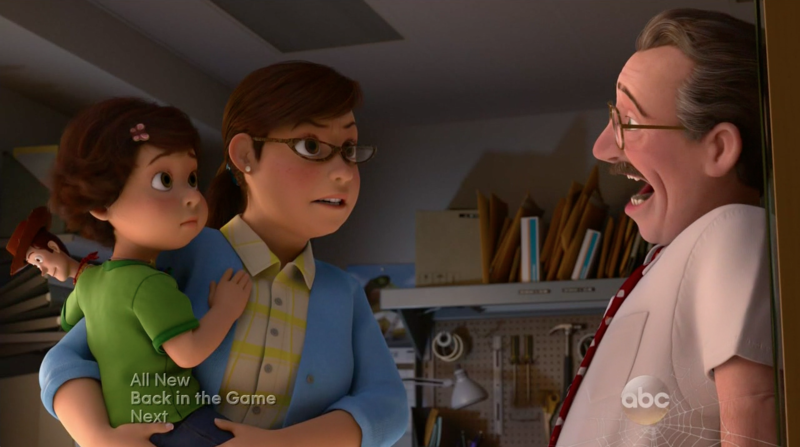 We have grown accustomed to expecting a wealth of easter eggs in Pixar films, references to other films in its catalog. The Pizza Planet truck and A113 symbol are the most abundant, with both appearing in almost every Pixar feature film. The most challenging easter eggs tend to be those that reference upcoming films, as it is difficult to know what to look for. It is a tradition to hunt for easter eggs and one that has continued with the studio’s first television special, Toy Story of Terror. Take a look at images of the easter eggs we found after the break!